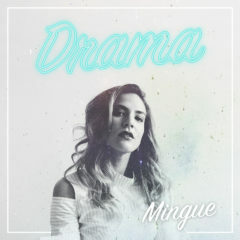 Today Mingue releases her new single Drama. Earlier this year Mingue released her first single Paradise, both singles are part of her upcoming EP Almost Midnight which is coming out end 2018. Mingue tells us: “Drama is a song created for all people making the same stupid mistakes over and over again” Fans of electronic pop artists like Julia Michaels and Lorde will immediately be drawn to her new up-tempo single Drama. End of this year, Mingue will release her solo EP Almost Midnight. The EP is produced by Dutch producer BRÅVO. Together they have created six light, fresh tracks that cover themes such as love, guilt, freedom and hope. The single Drama is now available on all streaming- and downloadservices.